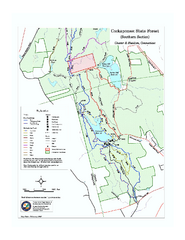 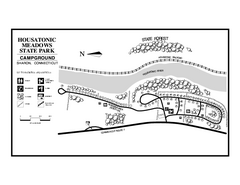 Campground map of Housatonic State Forest in Connecticut. 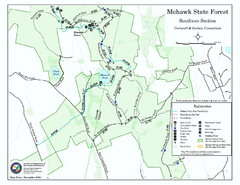 Summer trail map of the North section of Mohawk Mountain State Forest in Connecticut. 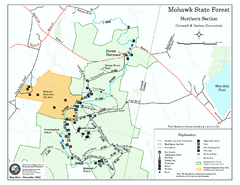 Winter trail map for North Mohawk Mountain State Forest in Connecticut. 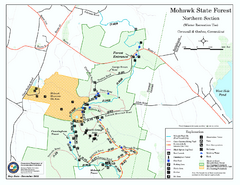 Summer trails for South Mohawk State Forest in Connecticut. 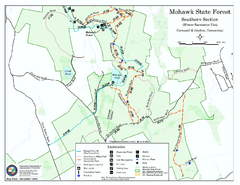 Winter trial map for the Southern Section of Mohawk Mountain State Forest in Connecticut. 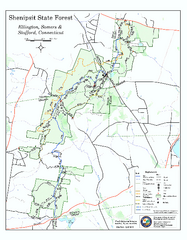 Trail map for Topsmead State Forest in Connecticut. 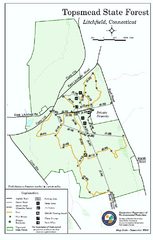 Trail map of American Legion and Peoples State Forests in Connecticut. 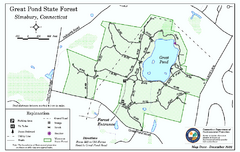 Trail map of Great Pond State Forest in Connecticut. 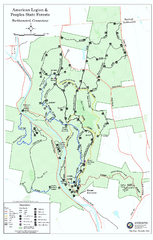 Trail map of Shenipsit State Forest in Connecticut. 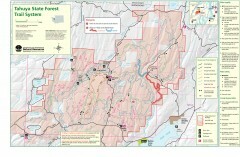 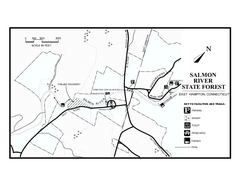 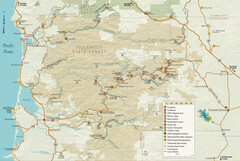 Trail map for Salmon River State Forest in Connecticut. 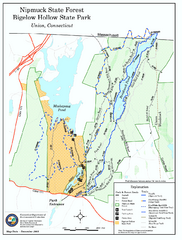 Trail map of Nipmuck State Forest and Bigelow Hollow State Park in Connecticut. 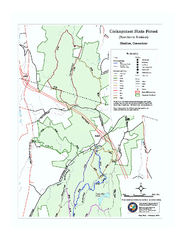 Trail map for the South Section of Cockaponset State Forest in Connecticut. 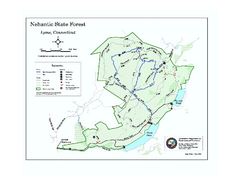 Trail map of Nehantic State Forest in Connecticut. 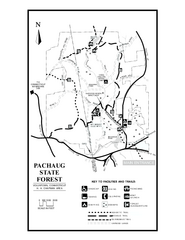 Trail map of Pachaug State Forest in Connecticut.